President of the Nita’s Kids Foundation, Cutie King (right), along with its Founder, Trenita Robinson (left), hand over school bags to children at a back-to-school fair held in Top Mountain, St. Catherine, on August 6. Over 500 children were provided with educational items at the event. 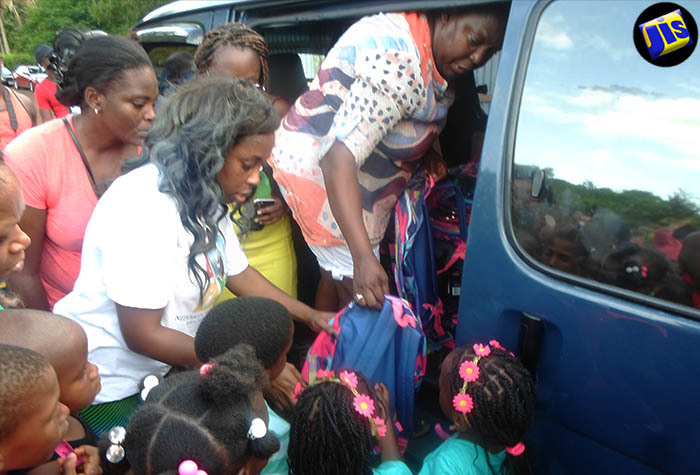 Several communities in rural St. Catherine have benefitted from the distribution of 500 back to school supplies, provided by the United States based, non-profit organisation, Nita’s Kids Foundation. While the focus area of the group include Top Mountain, Paul’s Mountain, Old Road, and Kitson Town, in St. Catherine, the Foundation has reached out to schools and infirmaries in urban areas of the parish, as well as parishes such as St. Ann, Portland, and Westmoreland. 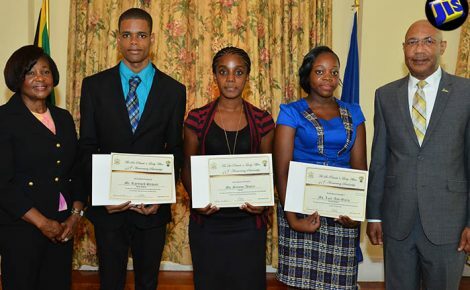 It also provides four scholarships each year, to selected students at the end of a vetting process. For more information, persons can visit the organisation’s website at www.nitaskids.org, or email info@nitaskids.org. 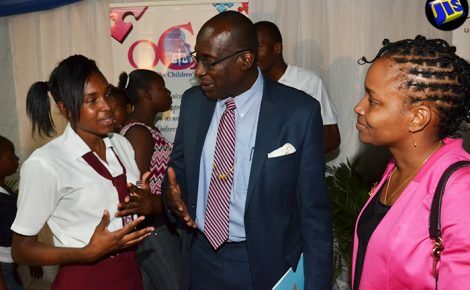 The organisation which was founded in 2013, held a back to school fair in Top Mountain St. Catherine on August 6. President of the group, Cutie King, says despite the demanding task of acquiring and shipping the educational supplies to Jamaica, she remains motivated by the looks on the children’s faces. “This is education, and we need our kids to live a little better life than us,” she states in an interview with JIS News. Miss King, who is a native from the Top Mountain community, says her aim is to relieve some of the burden from parents, in the purchase of school items. “I work extra jobs, so that I can help others. That is my fulfilment,” she shares, adding that her reward will come when children remember the help they received from the organization. “They too will return the favour, by going back to their community and sponsor children,” Ms. King adds. Describing the assistance received as “a good thing happening in the community”, parent from Top Mountain, Keisha Richards, says the school bags, vouchers, and books, delighted the children. “The parents are very thankful, and we highly appreciate it,” she states. For educator in the area, Marsha Bennett, gratitude can’t be enough to extend to the group. “We are thankful that she could be away, and come back to her community, and treat the children in a way that we have to say thanks to her,” she states. For his part, community leader, Michael Archer, reasons that they never dreamt that so many children from the area, and surrounding communities would be helped at one coming together. “They take a lot of interest in the communities, and we applaud them, because it is a wonderful thing for us,” he adds. Founder of the organization, Trenita Robinson tells JIS News that in the summer of 2013, when they brought a number of items to share with the community “the turnout we got that day was overwhelming,” and the idea of a structured group to help children was born. “I know what it is to have a good education, and I feel that everyone should have that opportunity. That is why I do this,” she says. She hopes that some of those who are helped will one day give their service to the Foundation, to reach other needy children. On August 6, the group staged a road race, where persons won various prizes. Meanwhile, Miss King says the Foundation will be part of the communities, as long as needs exist. Since its inception, the Foundation has assisted 1000 children. Nita’s Kids Foundation is an international non-profit based in Waltham-Massachusetts and Jamaica, West Indies. Its goal is to provide moral and financial support to children, schools and individuals with intellectual and developmental disabilities. The Foundation also operates its Nita’s Star Programmes, such as Sponsor a Child, and Adopt a School, where persons are encouraged to reach children and institutions in need.